A First Republic Minister of Aviation, Chief Mbazurike Amaechi, has noted that Igbo people were indifferent over the prospects of producing the next President in 2023. Amaechi told New Telegraph in Awka, Anambra State yesterday that power is not given on a platter of gold. The elder statesman noted that the South West has shown stronger interest in the position. 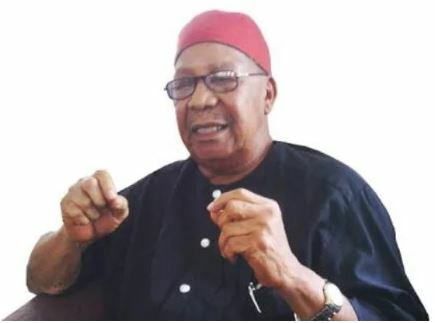 According to him, “Power is not given on a platter of gold and the idea that Igbos will produce the next President of Nigeria in 2023 is not sacrosanct because there is no section in Nigerian construction that talked about rotation of power. “The Yorubas are serious about this and they are working hard to get it and I expect our people in Igbo land to work hard and show seriousness. “Our politicians in the South-East should wake up and show that we are interested but the Yoruba are more serious than us. The post 2019: Yoruba Deserves 2023 Presidency, Igbo Are Not Serious – Amaechi appeared first on Naijaloaded | Nigeria's Most Visited Music & Entertainment Website.